Are you planning an oncology clinical trial in Europe? Get local expert advice now! Spain is an excellent country to carry out clinical trials. According to ClinicalTrials.gov, the American database of clinical studies conducted around the world, Spain is the fifth European country (considering the United Kingdom) with more clinical studies (11,164), very close to the fourth recruiter: Italy (11,387 studies). In 2018 alone, 716 new studies were initiated in Spanish hospitals by November, bringing Spain up to the fourth position in the European ranking of top recruiters during 2018. The forecast is that this trend will be consolidated in the future because pharmaceutical and biotechnology companies see Spain as an increasingly attractive territory for trials. Spain attracts international trial sponsors for various reasons. 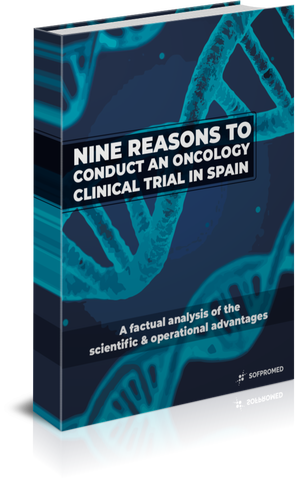 This guide provides a factual analysis of the main scientific and operational advantages of conducting clinical trials in Spanish sites, including key strategic recommendations for sponsors planning oncology studies. What do you need to carry out a cancer clinical trial in Spain? Oncology clinical trials are complex and sponsors should know in advance the key elements and local procedures that will be required to undertake such large, intricate, and demanding venture. This knowledge becomes particularly critical if the study is to be conducted in a country with local procedures and singularities that may be unknown to the sponsor. 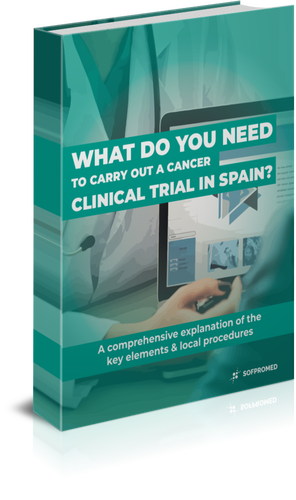 Thus, this guide provides highly valuable practical information regarding the requirements and local processes involved in the preparation and execution of a cancer clinical trial in Spain.